With more than 30 years of experience, Vecchio Cesspool is one of the most trusted cesspool maintenance and repair companies on Long Island. This fully licensed and insured company uses proven techniques and advanced tools and technologies to provide outstanding residential and commercial cesspool care. From cleaning and pumping, and from repairs to replacements, you’ll have peace of mind with every flush when you the experts at Vecchio Cesspool are on the job. 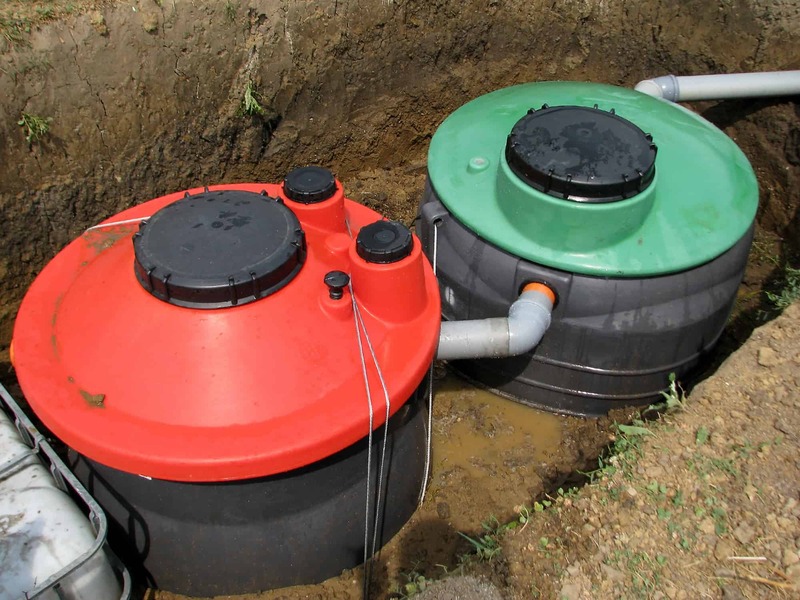 Cesspools are very efficient and cost effective wastewater storage and elimination systems. In fact, most homes on Long Island use cesspools to control their wastewater. With proper maintenance, a cesspool can provide years of worry-free wastewater removal. When it comes to caring for your cesspool, pumping is absolutely essential. Each time you flush a toilet, take a shower, wash the dishes, or throw on a load of laundry, the water runs down the drains and into your cesspool. Heavy waste sinks to the bottom, lighter materials float to the top, and water lies in between the two layers. Overtime, both the waste and water buildup, and it they’re not drained, serious problems can arise, like a sewage backup. That’s why it’s so important to have your cesspool pumped on a regular basis. According to experts, cesspool pumping should be done every three to five years. In fact, failure to do so is the leading cause of overflows. If you’ve never experienced cesspool pumping before, you might be wondering what to expect. For a reputable and experienced company, the job is pretty simple and should take no more than a few hours. Here’s a look at what you can expect to happen during the pumping process. Essentially, a cesspool is a big tank that’s located underground. Pipes connect the drains in your home to the tank. Every time water is flushed down the drains (and toilets), it moves through the pipes and makes its way into the cesspool. A lid sits on top of the tank. This lid opens up so that the tank can be accessed for pumping and cleanings. Hence, in order to have your tank pumped, the access lid needs to be located and exposed. If you know where the lid is, make sure you let the cesspool company you are working with know where it is. If you aren’t sure exactly where the lid is situated, an experienced service provider will be able to locate it for you. If the access lid covered (with dirt, for example), it will need to be exposed. Your cesspool company will likely uncover it; however, be advised that, depending on the company, you might be charged a fee for this service. After the lid is located and exposed, the company you hired will pry it open. After the access lid has been opened, the cesspool company will begin the pumping process. An industrial hose that’s attached to a vacuum truck will be securely connected over the top of the access hole. After the hose is connected, the cesspool professional will power the hose and the wastewater and waste in the tank will be sucked up and stored inside the tank of the disposal truck. After the cesspool is pumped out, a strong force of water will be shot inside of it. This will help to remove any waste that may be stuck to the sides and bottom of the cesspool. Next, the tank will be rinsed and pumped out a second time so that any waste that didn’t come out with the initial pumping can be removed. The last part of the cesspool pumping process involves an inspection. The tank, its access lid, and the pipes that connect to it will be checked over. For example, a professional will check to see if any tree roots are growing through the tank, if there are any clogs in the pipes, or if the lid is damaged in any way. If any issues are spotted, the cesspool company will let you know and suggest the necessary repairs. It’s a wise idea to choose a cesspool company that offers repair and new installation services. That way, if any issues do arise, the same company can make the necessary repairs or replace your tank. After the tank has been pumped, cleaned, and inspected, the lid will be placed back on and sealed up. It’s a wise idea to note the location of the lid so that you know where it is the next time you need a cesspool pumping. To Schedule a Cesspool Pumping, Contact Vecchio Cesspool Today! With routine pumping and cleaning, your cesspool will function more efficiently, and its life will be prolonged. For efficient, affordable cesspool pumping, contact one of the most trusted companies on Long Island: Vecchio Cesspool. Call 631.451.6818 to schedule your service today!